Dean Danflous is a senior and varsity football player at New Albany High School in Ohio. 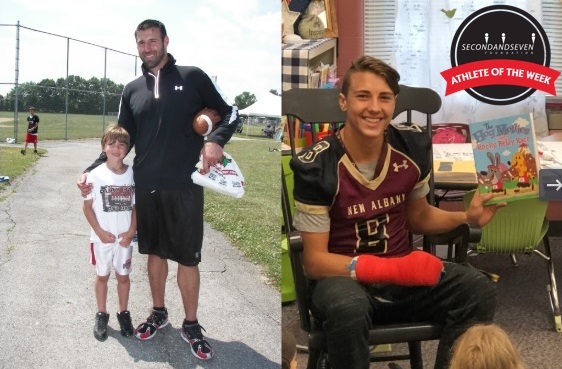 He was introduced to many current and former student-athlete positive role models when, at the age of eight, he attended the first of many of our summer football camps. We are proud that Dean embodies the importance of paying it forward as he and his team now partner with The 2nd & 7 Foundation by reading to students in the New Albany Early Learning Center. Dean also donates his time and effort to the Special Olympics, Relay for Life, the Honor Ride and the New Albany Walking Classic. He is also a member of Alive! Student Ministry.